From acclaimed author Emery Lord comes a vibrant, compelling story of love, loss, faith, and friendship. Lucy Hansson was ready for a perfect summer with her boyfriend, working at her childhood Bible camp on the lake. But when her mom’s cancer reappears, Lucy falters—in faith, in love, and in her ability to cope. When her boyfriend “pauses” their relationship and her summer job switches to a different camp—one for troubled kids—Lucy isn’t sure how much more she can handle. 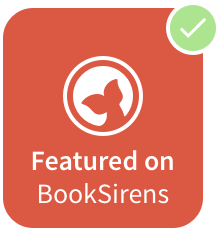 Attempting to accept a new normal, Lucy slowly regains footing among her vibrant, diverse coworkers, Sundays with her mom, and a crush on a fellow counselor. But when long-hidden family secrets emerge, can Lucy set aside her problems and discover what grace really means? Emotionally-charged and unforgettable, Emery Lord’s storytelling shines with the promise of new love and true friendship, even in the face of life’s biggest challenges. First Thoughts When this arrived, I can quite easily say I FLIPPED and hugged it. Everyone who reads PLM knows how much I adore YA, but more importantly, when Emery contributes to it with her amazing characters and flawless world-building. 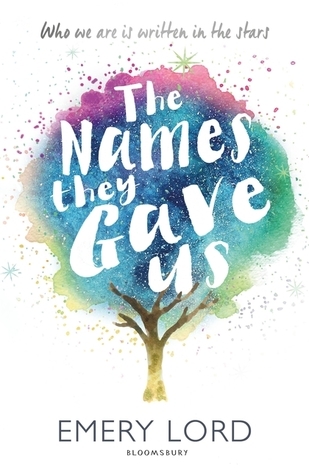 The premise for The Names They Gave Us sounds like it's going to make me smile/cry/repeat and it went to the top of my TBR so fast. Review I have never started a review with my rating for it (not that I can ever remember going back to 2012 when I started my blog) but right here? We have the biggest FIVE star book I've read this year, hands down, swear on all my bookshelves. I was expecting greatness (it's an Emery Lord book, obviously) but this is just some kind of magic. Let me tell you why: Lucy is just like us. What I'm trying to say is that she feels real, like she's my best friend or someone I went to school with. I felt for her with personal empathy for the things she was going through with her Mother's cancer, and for the unwinding spiral of her life as she tried to maintain some kind of control over it. The Names They Gave Us isn't all about cancer, despite Lucy's story being intertwined with it, or about Religion despite Lucy being a firm believer in God. In fact, because of Lucy's Mom being sick, she decides that for once, it's okay to not follow the lines of her religious beliefs and to let herself be Lucy; opening herself up to things that she previously wouldn't have done, namely because the Summer Camp job she has switches to a different kind and it makes her sceptical about what this Summer will bring, along with the fact that her boyfriend just paused their relationship (how dare he!). But then, she meets the characters that truly shape this book for the better: a diverse, amazing, beautiful array of people that as secondary characters, light up the pages with their own radiant spotlight. I just CAN'T explain how much this book affected me. It's heartbreaking, raw, true and beautifully messy and I thoroughly loved Lucy's strikingly honest POV and how much she trusted her faith. Overall, The Names They Gave Us is a YA Book unlike any other (I know, it's a cliche to say that, but it's so, so true) and Emery has truly outdone herself with her latest novel! I'm always amazed at how much her writing can make me laugh and cry at the same time at these characters that you just want to hug and be friends with. This can't get a higher five stars from me. Have you read The Names They Gave Us? Let me know in the comments or at @LittleMemoirs on twitter!